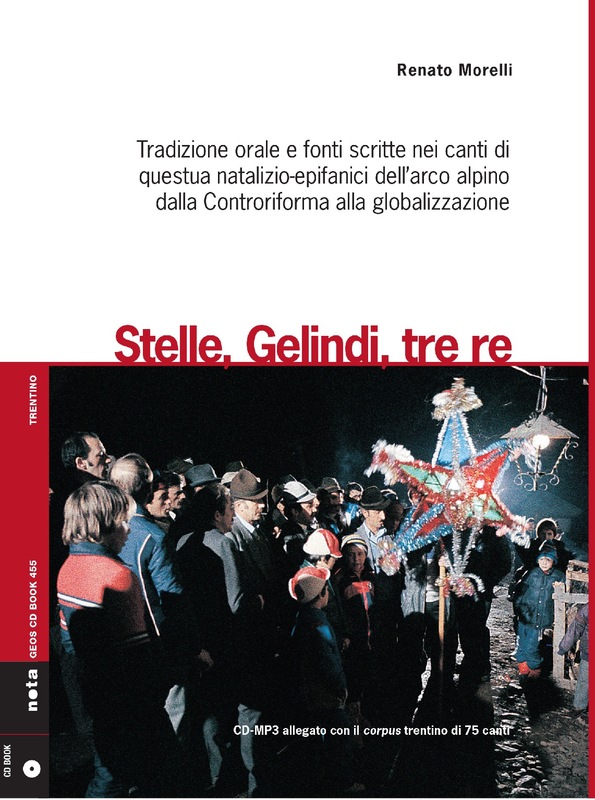 Renato Morelli, Stelle Gelindi tre Re. This CDbook presents the results of the author’s field research of over thirty years, combined with research at the Vallicelliana library in Rome, the British Library in London, the library of the Bologna Conservatory, and the Ferdinandeum in Innsbruck. The publication has allowed new light to be shed on the central problem facing ethnomusicologists concerned with the Italian Alps, namely the origin of written sources of devotional music. This “cross-over” repertoire between written and oral traditions, the sacred and the profane, popular and learned culture, has largely been spread by oral tradition. Through specific research, it has been possible to identify not only the printed sources, but also the role of priests in the widespread diffusion of this repertoire. With its roots in the Counter-Reformation with the Council of Trent and the various lodi a travestimento spiritual, popular melodies and songs which have been given new lyrics with religious significance, this tradition continued with the work of the Jesuits, Franciscans, and individual priests. This book presents in detail the work of Saint Carlo Borromeo (1538-1584) and the Dominican priest Father Serafino Razzi (1531-1613) during the Council of Trent (1545-1563). They directed, for six years, a commission of priests-musicians to prepare the lodi a travestimento spirituale. This work aimed to counter the spiritual songs in the vernacular of Luther and Calvin. The custom of the Stella is linked instead to the Jesuits as a means of reinforcing the significance of the Epiphany (the visit of the Magi), as challenged by Luther. This research, after sifting through the folds of ‘micro-history’ to arrive at the broader history of the Lutheran reform and subsequent Council of Trent with its laudi a travestimento spirituali, has shed new light on the origin and sources of a tradition which has spread throughout the Alpine region. The first part of the book is philological and historical-ethnographic, and examines the four principal printed sources found from the sixteenth through the eighteenth century. The second part is dedicated to the ethnomusicological analysis of twenty-two songs published on these sources, including seventy-five variants from the Trento region. The CD included with the book contains the complete corpus of the seventy-five variants from the Trento region as recorded by the author. 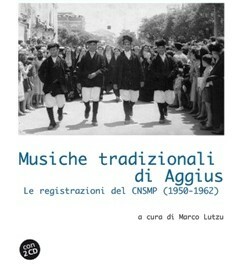 In Aggius, between January 1950 and March 1962, the CNSMP (National Centre for the Study of Folk Music) organized five campaigns that, coordinated by Giorgio Nataletti or Diego Carpitella, took advantage of the collaboration of scholars already working in Sardinia such as Alberto Mario Cirese, Antonio Santoni Rugiu, Antonio Sanna, Paolo Cherchi and Pietro Sassu. The attention paid to this small village sited in Gallura, in northern Sardinia, was determined by the originality and the richness of the repertoires now largely reproduced on the two enclosed CDs: a huge variety of expressive forms such as lullabies, work songs, serenades, accordion dances and the most representative genre, the cantu a tasgia, the multipart singing which is still considered today as the key element of their cultural identity by the local singers. The volume opens with an in-depth introduction and contains the transcription and the Italian translation of the lyrics, some articles about the history of cantu a tasgia in the last century (i.e. the appreciation by Gabriele D’Annunzio and its presence in the play Ci ragiono e canto directed by Dario Fo), highlighting the central role played by two of the most important singers, Salvatore Stangoni and Matteo Peru. The volume is an essential tool for the knowledge of the musical practices of this small village and, at the same time, a significant example of how a multipart music can change over time both from the formal and expressive point of view and from the meanings and values people express through it in an ever changing social context. The book has been published thanks to the contribution of the choir “Galletto di Gallura” from Aggius, as a way to honour its forefathers. Moreover, this book opens a specific section of the aEM book series published by Squilibri, dedicated exclusively to the Sardinian documents preserved in the Archives of Ethnomusicology of the ‘Santa Cecilia National Academy’, and overseen by an editorial board chaired by Ignazio Macchiarella. 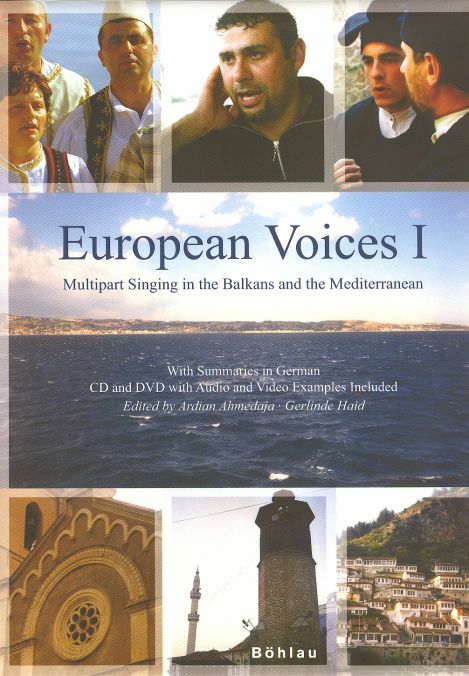 European Voices I. Multipart Singing in the Balkans and the Mediterranean. Wien. Böhlau. 2008. (With Summaries in German). CD and DVD with Audio and Video Examples Included. The Institut für Volksmusikforschung und Ethnomusikologie (IVE) and the Böhlau Verlag are pleased to present Volume 22 of their series “Schriften zur Volksmusik” with the res- ults of long-standing cooperation among specialists of multipart music in southern Europe. In this volume, the latest results of researchers with extensive fieldwork experience are presented in word, sound and pictures. In addition, singing styles which were previously unknown in the scholarly literature, such as those of Spain and the French mainland, are examined for the first time. The inclusion of the Balkans was a decisive factor, also in or- der to perceive the musical cultures of this area as definitely belonging to the European cul- tural tradition, which is still not taken for granted. Jean-Jacques Castèret, Multipart singing in Gascon Pyrenees: Tradition, evolution, resilience. 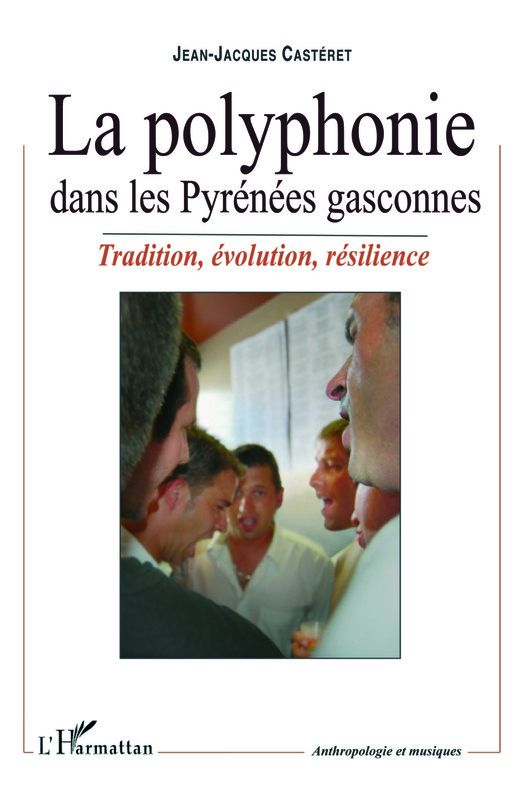 Paris, L’Harmattan, Anthopologies et musique, 2012, 367 p.
In Pyrenean Gascony, multipart singing is something general for both Sunday masses, patronal festivities or festive gathering. It is, however, long remained in the blind spot of ethnomusicological research as cultural action. After fifteen years of research, this book invites to discover a social practice that draws a very classical and post-modern field. From pub to pub, feast to festival, closer to the singers, this research focuses on understanding the musical and human springs of multipart singing, the meaning of this work in progress that say by turns the Pyrenean communities mood, individual and collective aspiration to a form of absolute. Between musicology and ethnomusicology, anthropology and history, Jean-Jacques Castéret revisits in this book the notions of oral and written, profane and religious, popular and scholarly, revealing the Pyrenean part of a very extensive European archipelago where church faux-bourdon, fallen into history oblivion, and secular multipart singing are combined for more than five centuries.antic Pyrenean imaginary and the emergence of early mechanisms of patrimonialization. Dr. Jean-Jacques Castéret is ethnomusicologist, PhD. of the Université Bordeaux 3 – Lacito du C.N.R.S. Head of the Culture & Society pole of the Institut Occitan d’Aquitaine, he develops public programs of sound archives valorization (www.sondaqui.com) and safeguarding of Intangible Cultural Heritage. Associate researcher of the Laboratoire ITEM de l’Université de Pau et des Pays de l’Adour, member of the Research Centre for European Multipart music (Universität für Musik und darstellende Kunst Wien), of the multipart group of the International Council for Traditional Music, of the Société Française d’Ethnomusicologie and administrator of the CIRIEF.